CAPE CANAVERAL — A new generation of spacecraft with unprecedented clarity and speed to observe the weather, improve forecasting and enhance tracking of severe storms across the United States begins with the launch of an Atlas 5 rocket on Saturday. The 197-foot-tall United Launch Alliance rocket will propel an 11,500-pound satellite into space from Cape Canaveral, Florida, lifting off during a 60-minute window that opens at 5:42 p.m. EST (2242 GMT). 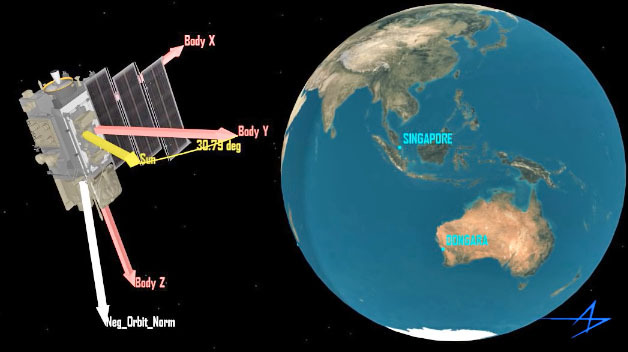 That payload is known as GOES-R, the Geostationary Operational Environmental Satellite-R, and it promises to revolutionize weather forecasting. For the past 40 years, the linchpin to U.S. weather monitoring has been geostationary satellites, craft orbiting 22,300 miles above the Earth for a persistent watchful eye on the homeland below. 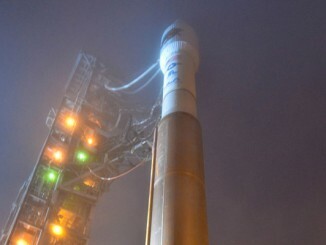 This weekend’s launch will take a “quantum leap” to upgrade the amount, the quality and the timeliness of data streaming from space that meteorologists use to predict future conditions and issue warnings when extreme weather is approaching. “It really will be a game-changer in the fields of both weather and climate science for years to come,” said Stephen Volz, assistant NOAA administrator for its Satellite and Information Service. GOES-R is the first of four new weather observatories that will be launched sequentially over the next 8 years to ensure meteorologists have eyes in space through into the 2030s. The program was an $11 billion investment made by the nation to create, build, launch and operate GOES-R, -S, -T, and -U. “It’s a lot of money. The fact that it’s something every American sees everyday, though, and is so integral to the whole weather process is certainly the value,” said Greg Mandt, NOAA’s GOES-R program manager. Standing 18 feet tall and 33 feet wide with its single power-generating solar array extended, the GOES-R satellite carries six sophisticated instruments that will observe the Earth and the sun. The primary element is the camera package called the Advanced Baseline Imager, or ABI. “It will take the most vivid images of weather features in the Western Hemisphere, better than we’ve ever seen before,” said Mandt. The ABI operates in 16 different spectral bands, compared to just five on today’s satellites, that will enable scientists to see and discriminate features in weather events. And it offers four times the resolution to see finer details in cloud structures. “And, to me, most impressively it will be able to operate at five times the speed. It will scan from the North Pole all the way down to the South Pole in five minutes (instead of the current 27 minutes),” said Mandt. ABI will show the motion of clouds and weather systems in visible and infrared bands that television meteorologists use in newscasts. The instrument will monitor water vapor, measure land and sea surface temperature and depict rainfall rates. It will produce real-time estimates of central pressure and maximum sustained winds for tracking the intensity of hurricanes, and measure the key ingredients of severe weather like winds, cloud growth and lightning to improve tornado warnings. “In addition, we will have the ability to zoom-in on a specific storm, like a tornado-spawning complex or a hurricane, and look at it every 30 seconds (versus the current ‘rapid-scan’ of every five minutes), thereby revolutionizing our ability to forecast weather in near real-time,” said Mandt. ABI was built by Harris Corp. of Fort Wayne, Indiana. GOES-R also carries the first Geostationary Lightning Mapper. It will use a high-speed camera to detect in-cloud and cloud-to-ground lightning over the Americas and surrounding ocean areas to increase the warning time for severe weather. “The GLM will give us an accurate picture of total lightning, not just cloud-to-ground but the much more extensive cloud-to-cloud lightning, and we’ll be able to see that both day and night across the Western Hemisphere,” Mandt said. The GLM is a camera system that takes pictures 200 times per second and compares one to the next to capture every element of a lightning flash. “What the researchers have found is that where you have a tremendous growth in the number of flashes going on, that is where the severe storms are really starting to grow,” said Mandt. “By getting the data to the forecasters in seconds, they get an earlier indication of tornado formation. You can also be more confident in a forecast. Today, we over-warn like 80 percent of the time. This, hopefully, will cut that in half, so people will know if they get a tornado warning, indeed, they want to react. GLM was made by Lockheed Martin in Palo Alto, California. 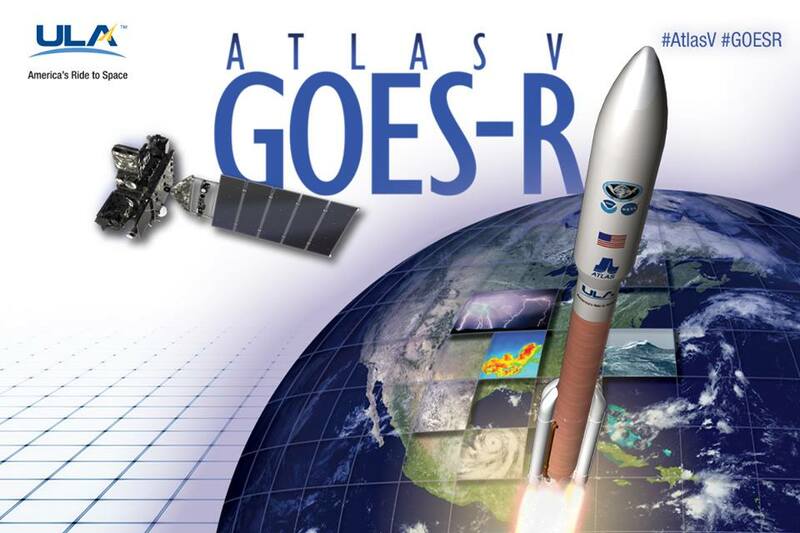 GOES-R is more than just an Earth-observing mission. It is equipped with space weather instruments to monitor solar activity and energetic particles heading in our direction. “We will be able to see features such as coronal mass ejections and solar flares on the surface of the sun to help with space weather forecasting that can affect communications and navigation and power grids on Earth,” said Mandt. 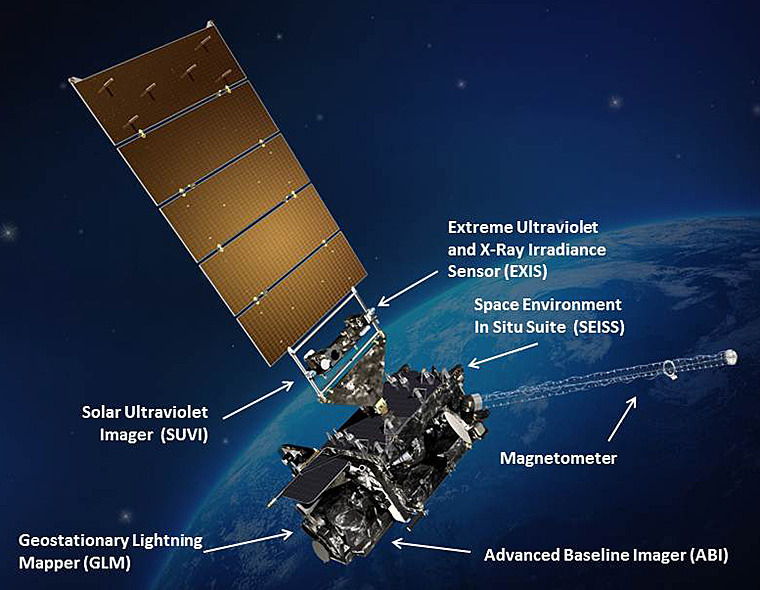 The Extreme Ultraviolet and X-ray Irradiance Sensors on the GOES-R series of satellites will detect solar flares and help predict solar proton events that can penetrate Earth’s magnetic field. EXIS comes from the Laboratory for Atmospheric and Space Physics in Boulder, Colorado. The Solar Ultraviolet Imager will observe the full disk of the sun in the extreme ultraviolet wavelength range to characterize complex active regions of the sun and detect solar flares and solar eruptions. SUVI was made by the Lockheed Martin Advanced Technology Center in Palo Alto. The Space Environment In-Situ Suite has four sensors that will monitor proton, electron and heavy ion fluxes in the magnetosphere to warn against electrostatic discharge and radiation hazards for astronauts and satellites. SEISS was built by the Assurance Technology Corporation in Carlisle, Massachusetts. And GOES-R has a magnetometer boom that will be extended once in space to provide measurements of charged particles in the outer region of the magnetosphere. The data is critical for satellite operators and power utilities. The magnetometer was made by the Lockheed Martin Advanced Technology Center in Palo Alto. “Modern technology has made us vulnerable to extreme variations in space weather that can have significant effects on Earth communications,” said Frank Eparvier, principal investigator on the EXIS project. NASA applied its expertise to oversee the design and construction of the satellite, which was built in Denver by Lockheed Martin. “GOES-R continues over 40 years of partnership between NOAA and NASA in the collaboration of the design, development and launch operations of Geostationary Operational Environmental Satellites,” said Sandra Smalley, director of NASA’s Joint Agency Satellite Division. Unlike today’s three-axis stabilized satellites, the first GOES were spin-stabilized and viewed Earth only about ten percent of the time. 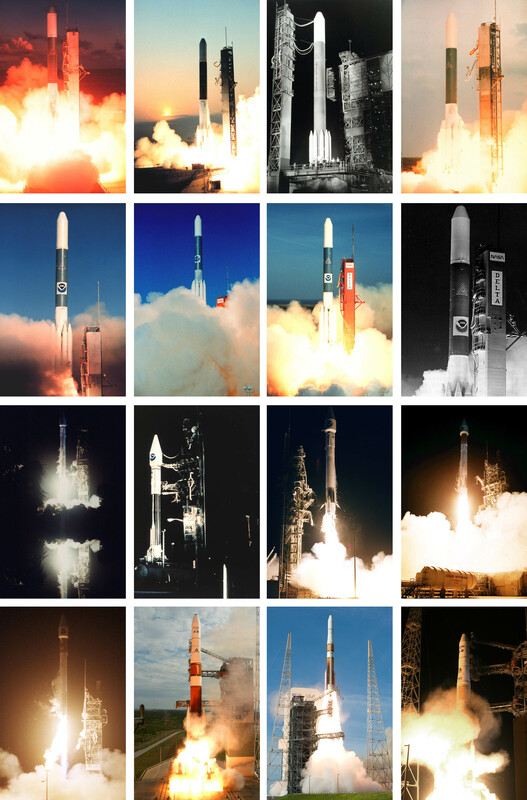 The first operational GOES satellite was launched on Oct. 16, 1975, and GOES-R will be renamed GOES-16 once on-orbit. It will be the biggest and most powerful one yet. 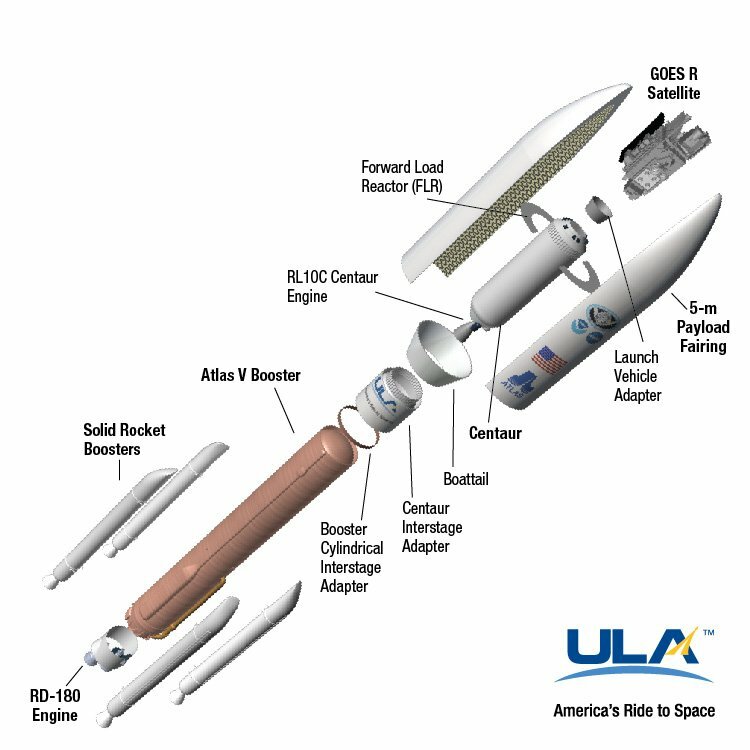 Getting the craft into space will require the heavy-lifting capability of the United Launch Alliance Atlas 5 rocket flying in its 541 configuration with four side-mounted solid rocket boosters and a bulbous five-meter nose cone. This particular configuration has flown three times previously, launching NASA’s Curiosity rover to Mars in 2011 and a pair of classified National Reconnaissance Office missions in 2014. Saturday will feature a one-hour launch window to get the rocket airborne — from 5:42 to 6:42 p.m. EST (2242-2342 GMT). Weather forecasters give odds of 90 percent that conditions will permit liftoff to occur. If the launch is delayed to Sunday for some reason, the window moves to 4:42 p.m. EST (2142 GMT). Airspace restrictions by the FAA shortened what otherwise would be a two-hour daily window. The Launch Readiness Review occurs on Thursday for a final assessment of pre-flight work and any outstanding technical concerns. The meeting determines if all is in readiness for the launch operations to commence. The rocket is scheduled for rollout from its assembly building to the Complex 41 pad on Friday morning. The countdown begins seven hours before liftoff on Saturday, and the loading of 66,000 gallons of liquid oxygen and liquid hydrogen starts with only two hours left until launch. The rocket will weigh 1.2 million pounds at liftoff and produce 2.4 million pounds of thrust at launch. The rocket comes off the pad on the thrust from the combined RD AMROSS RD-180 main engine and four Aerojet Rocketdyne solid boosters, and will head off on an initial fight azimuth of 100.7 degrees. The SRBs burn for about 90 seconds before peeling away, leaving the first stage to power the vehicle out of the atmosphere. The fairing surrounding the satellite is jettisoned at T+plus 3 minutes, 30 seconds. After staging, the Centaur upper stage takes over to begin its complex three-and-a-half-hour mission to loft GOES-R into a customized geosynchronous transfer orbit with a higher perigee and lower inclination than typical, delivering the craft closer to its final destination to conserve its onboard fuel supply. The Aerojet Rocketdyne RL10C-1 engine ignites at T+plus 4 minutes, 38 seconds for a seven-and-a-half-minute burn that accelerates the Centaur and GOES-R vehicle into a preliminary parking orbit of 104 by 336 miles at an inclination of 28.15 degrees. The rocket then coasts for nearly 10 minutes before restarting the engine for a five-and-a-half-minute burn that achieves a highly elliptical transfer orbit of 116 by 20,330 miles at 25.68 degrees inclination by T+plus 27 minutes, 34 seconds. That begins a coast away from Earth for exactly three hours until the Centaur fires a third time at T+plus 3 hours, 27 minutes, 33 seconds. 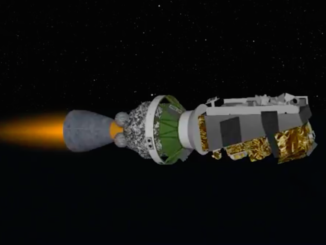 The capabilities of Centaur are demonstrated during the GOES-R launch with its multiple restarts and orbit shaping to give its payload lifespan advantages. A third burn lasting 93 seconds will deliver the satellite into an orbit of 5,038 by 21,926 miles at an inclination of 10.6 degrees. 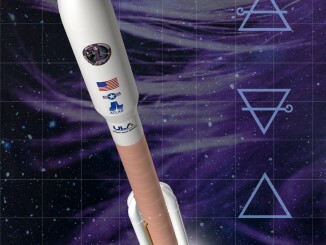 Deployment of GOES-R occurs at T+plus 3 hours, 31 minutes, 55 seconds to complete the 67th flight of the Atlas 5 rocket. Within minutes, the satellite will unfold its stowed array and phone home initial health status. Five burns of the craft’s main engine over the following week, consuming hydrazine and oxidizer, will achieve a geostationary orbit. If there is a problem with the primary engine, controllers can downmode to smaller thrusters and execute 18 burns over four weeks to reach geostationary orbit. That would shorten the on-orbit fuel life of the satellite from a projected 20 years to 18 years, but satisfy the 15-year planned mission life. A year-long checkout at 89.5 degrees West longitude is scheduled to test and validate the advanced capabilities of the spacecraft before it will be available as one of the two operational GOES. Currently, GOES 15 is the GOES-West satellite at 135 degrees West longitude. It was launched as GOES-P atop a Delta 4 rocket in 2010. GOES 13 — launched as GOES-N in 2006 — is the GOES-East satellite at 75 degrees West. The GOES 14 launched in 2009 as GOES-O serves as the in-space spare, ready to be pressed into service at a moment’s notice. 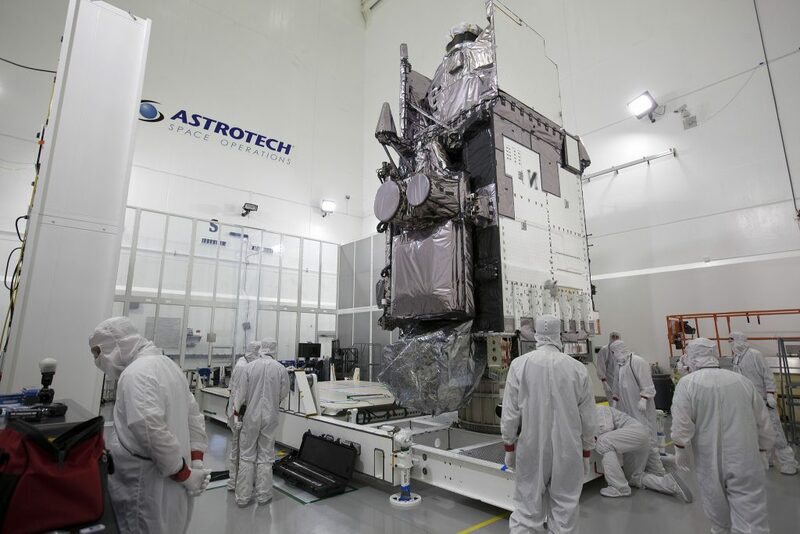 GOES-S has been assembled and will soon enter pre-flight testing before an early 2018 launch. GOES-T launches in 2019 and GOES-U follows in 2024. “We know what GOES-R can do, what it is supposed to do. We don’t know what we can do with GOES-R. We are going to learn that over the next few years,” said Stephen Volz, assistant NOAA administrator for its Satellite and Information Service.